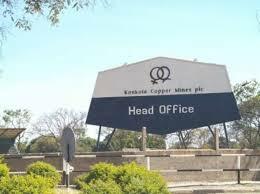 The Minister for Mines Richard Musukwa has warned Konkola Copper Mines once again over its behaviour. Mr Musukwu urged KCM not to give the government any reason to act decisively against them. KCM are accused of increasing redundancies and delayed payment of staff. The Minister urged KCM to guarantee local jobs for those in Chingola and Chililabombwe. However, KCM presently struggle to pay their existing employees and have delayed clearance of its debt to local contractors and suppliers causing more frustration. This is not the first time that the PF Government have warned KCM and as such the Ministry has warned that if mining companies such as KCM refuse to adhere to government directive then the government will have no option but to intervene. “We have a duty and a responsibility towards our people to ensure that the contractors and suppliers are paid and that employees of KCM are equally paid at the correct time. You must remember that suppliers, contractors and KCM employees are NOT shareholders in that company. So KCM has a mandate to mobilise resources and ensure that they liquidate their indebtedness. “And when they pay CEC or any other company for that matter, it does not mean they now have a leeway to default on employee’s salaries, or default on payments for contractors and suppliers – not at all, by tolerating such, we are just creating an imbalance in the system and it is clear that KCM needs to demonstrate seriousness,” stated Mr Musukwa.